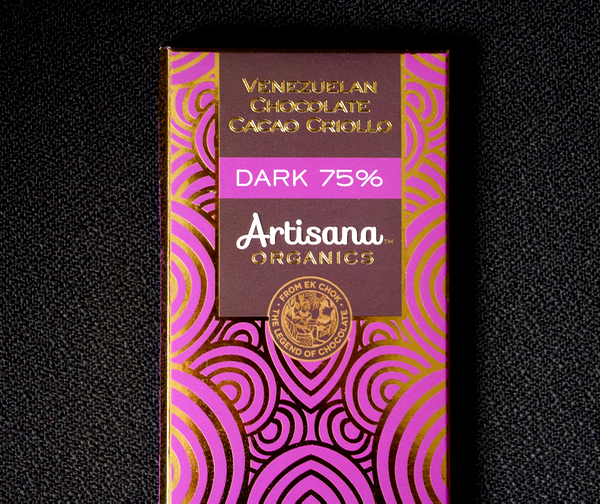 Welcome to Day #4 of Chocolate and Venezuela Theme Week. 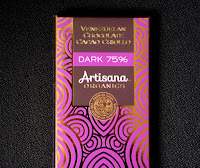 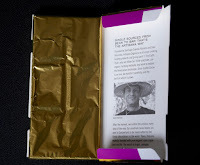 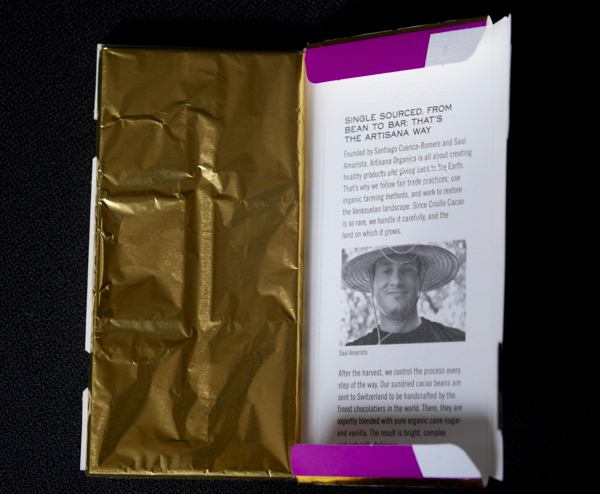 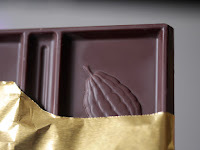 Today's Dark 75 percent Venezuelan Chocolate Cacao Criollo bar was from Artisana Organics. It was made in Switzerland and distributed in the U.S. by Premier Organics (Oakland, CA).